Leave an old washing machine in your front yard, miss too many days of school or catch a fish during the wrong season, and you could end up in jail. Let's say you get a speeding ticket. Typically, you're given a certain amount of time to pay the fine or challenge it in court. But if you don't show up to the hearing or pay the fine, some courts will issue a warrant for your arrest -- placing you on the same list as alleged rapists, thieves and escaped prisoners. In Ferguson, Missouri, for example, a Department of Justice report found that the city has almost as many active arrest warrants as it has residents -- and that many of these warrants stem from small, traffic-related tickets given to low income African-Americans. 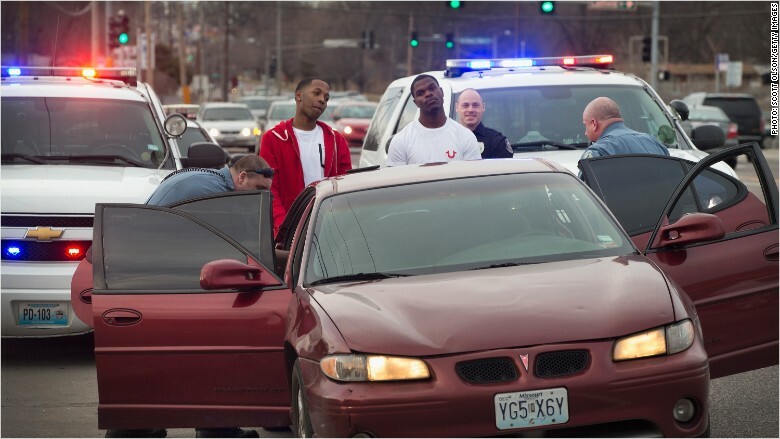 Police search a vehicle while the occupants stand with their hands on the trunk of the car on March 14, 2015 in Ferguson, Missouri. After the car was searched, the occupants were released. Cursing in public. Playing music too loud. Rollerblading. Parking too far from the curb. Leaving old appliances in the yard. These are just some of the surprising "crimes" that CNNMoney found in databases of arrest warrants from cities and counties across the country. Dewitt disputed the citation with the officer to no avail and says he was later told that he would get information in the mail telling him how to pay the $115 fine. A few months went by and he still hadn't received anything, so he called to ask about it -- only to find out a warrant had been issued for his arrest. Kyle DeWitt with his family. Confused and scared, he drove to the local jail and was put behind bars. He then borrowed $175 and paid a bail bondsman to help get him out. At a court hearing a week later, he was ordered to pay an even bigger bill -- $215 -- by the end of the day. DeWitt, who was unemployed with a baby at home, said his fiance's mother offered to give him $100 of her Social Security benefits to help settle the debt. He told the judge he could pay $100 the next day, and he could get the rest together by the following month. But the judge wouldn't give in. "It needs to be paid -- all [of it]. Or you need to do jail [time] instead," the judge said, according to a court transcript. "Do you have a credit card?" When he couldn't get the money, he was put back in jail. Originally ordered to serve three days, Dewitt was released early after the American Civil Liberties Union of Michigan intervened, arguing "it was unconstitutional for Kyle to be sentenced to jail for being poor." Ward says his grandsons couldn't get to school because of a bad family situation that resulted in more than a dozen moves in two years. That ultimately left the boys 20 miles from school, making options like the bus often unavailable, he claimed. Ward didn't find out about the citations until his 17-year-old grandson ended up in jail for failing to pay fines that had ballooned to $950. 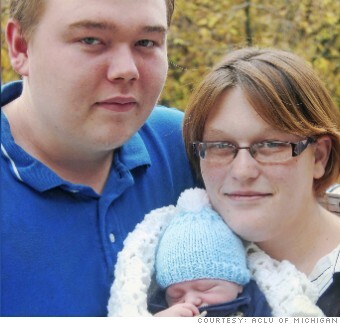 The other grandson owed $360, but had not been arrested. Ward has since used more than $1,300 of his Social Security benefits to clear both boys' warrants, and is still angry that they ended up in criminal court in the first place. 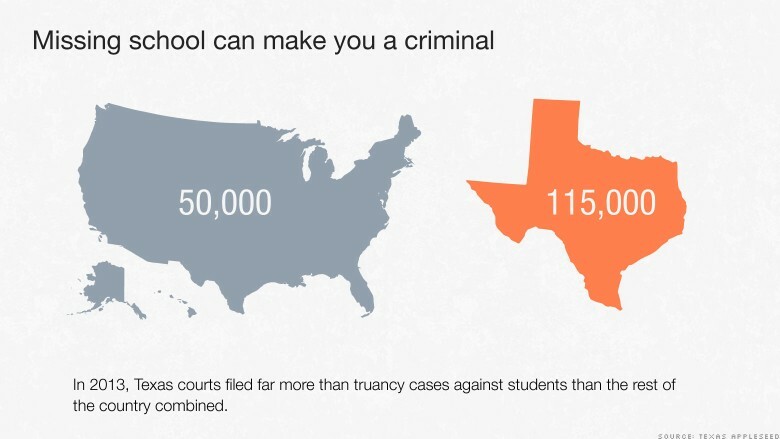 In a recent report, nonprofit Texas Appleseed found that 80% of Texas students sent to court for missing school were low-income and, as a result, the "least able to pay the fines imposed by the court." 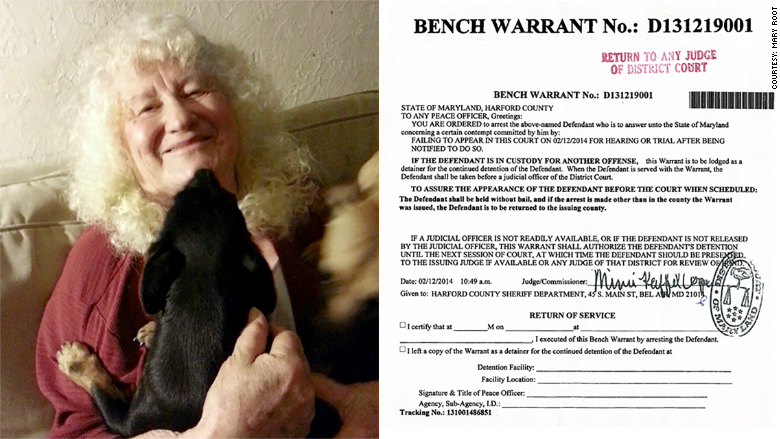 But after the dogs got out of her yard a few times, she was hit with a $525 fine that she couldn't afford and a court hearing that she couldn't attend due to medical reasons. Mary Root went to jail after her dogs got out of the yard. But Root isn't the only pet owner to face jail time. And it's not just a loose dog that can get people in trouble. Pets without licenses or microchips, or dogs that bark too much, are just a few of the pet-related offenses that can trigger an arrest warrant if a ticket isn't resolved. Crissy Brown never dreamed she would end up in jail. After she had received that initial ticket, Brown had spoken with a judge and was given a second hearing. But when that hearing came around, she still didn't have the money and feared that if she showed up to court again she would be thrown in jail. So she didn't go. "The rational thing to do seemed to be to keep a low profile until I could dig myself out of the financial hole I was buried in," she said. But this only made matters worse. Because she didn't attend the hearing or pay the fine, her initial ticket turned into an arrest warrant. Nearly two years later, Brown has a full-time job and up-to-date car registration. But she's still bitter about the experience. 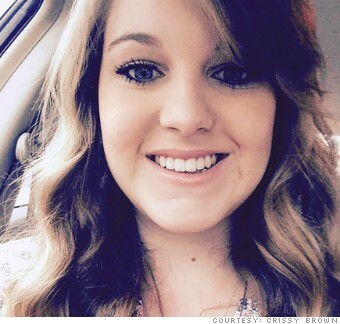 "It only took 8 hours of incarceration to make me feel like I was criminal," she said. Readers: Have you had a small government violation turn into a big bill or even jail time? Send us your reactions, experiences or other story ideas to investigate here.